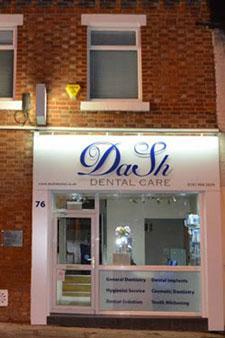 Our central aim is to establish and maintain oral health. This we do through a combination of examinations to identify and treat conditions at an early stage and prevention which includes hygienist visits and advice to reduce the risk of problems occuring. At every examination for both new and existing patients we examine your mouth and surrounding areas for signs of disease. This includes the soft tissues of the cheeks lips and tongue to look for signs of oral cancer and other conditions. We examine your teeth to look for signs of decay, wear or other conditions. We also examine your gums for signs of gum disease. It is estimated that about 6000 cases of oral cancer are diagnosed each year in the UK. There is a strong link with tobacco use as well as a link with alcohol use. Over exposure to the sun can increase the risk of cancer of the lips. As with all forms of cancer the earlier the diagnois the better the prognosis. As part of our examinations we check you mouth for changes which can be signs of oral cancer. Prevention forms the basis of successful modern dentistry. From an early age action can be taken to reduce the experience of dental disease. For people who have had dental disease prevention is the key to avoiding further disease and to prolonging the life of restorations. Teeth suffer from two main diseases decay and gum disease. Both are preventable with the right measures. Sugar in food is converted to acid by the bacteria in your mouth. These build up on your teeth in the form of plaque. Whilst your teeth and mouth have some capacity to resist this if the frequency of sugar intake exceeds this decay will occur. It is for this reason that the intake of sugar containing foods should be limited and avoided between meals. Regular brushing and flossing will also help and regular attendance at the dentist will detect any decay at an early stage. Gum disease is caused by your body's reaction to the plaque and tartar that build up on your teeth. Initial signs are bleeding of the gums which is a sign that the gums are inflammed. Bleeding does not occur in healthy gums. In the longer term the bone supporting the teeth can be lost and eventually this can lead to tooth loss. Treatment aims to remove any deposits on your teeth and this must be backed by the correct regime of brushing and flossing at home. Smoking is now known to cause more severe gum problems and reduce the effectiveness of treatment. 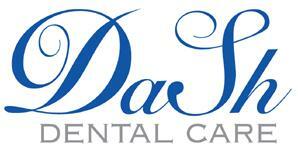 The hygienist is central to the care of your mouth. The hygienist main role is in relation to the prevention and treatment of gum disease. This is achieved by professional cleaning of teeth. This can be as a routine maintenance treatment or as part of treatment of active disease. Another part of the hygienists role is in educating patients in ways to look after their teeth at home and prevent disease. It is possible to have an additional cleaning of your teeth provided at the same time as your standard hygienist appointment or if you prefer at another visit. This is the Airflow treatment which with a spray of air and sodium bicarbonate and a water jet removes stains without pain. Ask the dentist or hygienist for details.